If you’re thinking of buying the Omega J8006 Juicer, find out all its essential features in this review. They say that we are what we eat (and what we drink), and today we see more and more people taking charge of their health. People are becoming more hands-on about how they prepare their food and ensuring that they get the most out of what they put into their bodies, and this is why a lot of people have gone into juicing. This is also why we have seen a rise in the number of juicers, grinders, and food processors available on the market today. Summary: One of the best juicers on the market today for overall juice quality. The J8006 is easy to use, perfect for any beginner. The only real downside is that this juicer doesn’t come cheap, but if budget isn’t an issue then this juicer is highly recommended. In the world of juicers, Omega is one of the most recognizable brands. This is only right, because Omega has spent many years innovating and pioneering juicing technologies. ​Knowing that many more consumers are getting into juicing because of health benefits and﻿ preventive reasons, Omega has put out a number of juicers in the market that can truly meet consumer demand. ​Omega’s juicers extract 20-30% more juice than others, and their low speed juicing system is perfect for the health conscious. An extremely popular juicer amongst users due to the benefits that this particular model provides. The fantastic quality of juice this juicer is able to extract from juicing fruits and vegetables is only one reason given by many users rating this particular model so highly. There are 3 main benefits of the Omega J8006 which are very much worth noting. ​With Omega’s Nutrition Center, you can make more than just healthy juices. Like any other juicer, you can extract nutrients from fruits and vegetables. ​However, you can also make all-natural nut butters from raw nuts, grind spices and coffee beans, mince garlic, and whip up your own baby food or purees. ​You can even use the included pasta nozzles and make homemade linguini. Even if the Omega Juicer 8006 can accomplish so much more what the average could, it’s actually not as complicated as it sounds. In fact, it’s not complicated at all. It’s quite easy to set up and is built not only to last but also to make your life so much easier. ​For one, there’s a built-in reverse that prevents the juicer from clogging. The patented stone screw that gives 8x more auger strength also makes juicing effortless, even with hardest of vegetables like broccoli. When you have this juicer in your kitchen,you will really feel like there’s nothing more you need. From the quality of the juice alone, you’ll know that you have a great product on your hands. 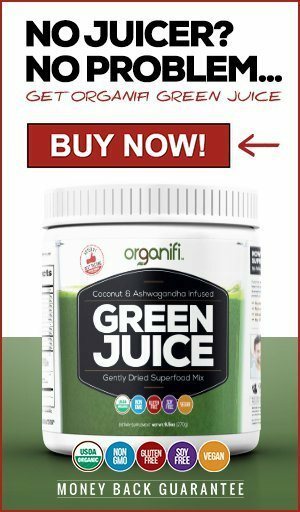 ​Not only is this heavy-duty juicer powerful enough to do what is expected of it, but it was also engineered to last you along time, and to do so while remaining relatively quiet as it operates. Very flexible with many various foods. Here are some of the other important aspects of the Omega 8006 Juicer. Click on each title to find out more. The masticating style is able to preserve the freshness of the juice, aswell as the purity of the components. Basically, you get juice in its purest form, with all the antioxidants, vitamins, and minerals that you want. ​The juice will retain its quality for up to 72 hours, without you worrying about degradation or separation. 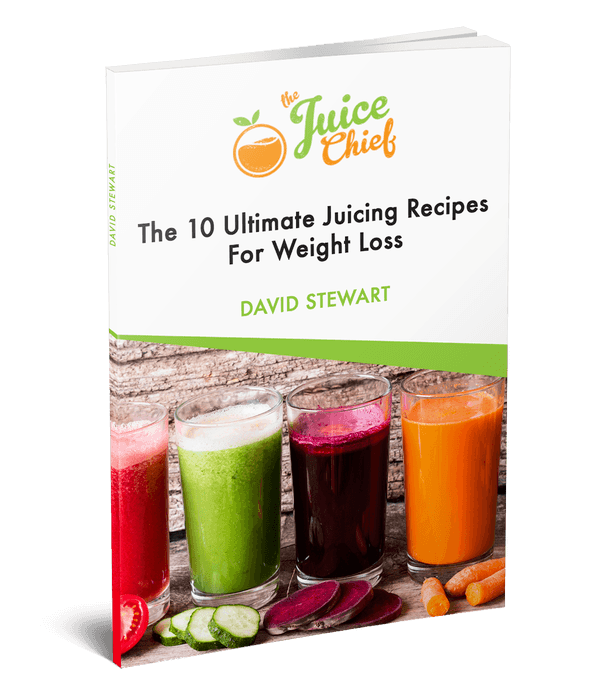 ​It's true that this juicer will take a little longer to juice all the nutrient filled goodness of fruits and vegetables, especially leafy greens, however what is lost with time taken, is made up with quality of the juice itself. The Omega J8006 is exceptional with leafy greens. This masticating juicer can also juice both hard and soft fruits and vegetables. It’s also the best option if you plan to do not just juicing but also other types of food processing for the needs of the entire family, such as make baby food, mince herbs, make pasta, and even make smoothies. ​With gear reduction, you get a 2 HP motor that’s powerful enough to deliver on its promise. Some noise is to be expected as with all juicers,but this is actually specifically engineered for a relatively more quiet operation. ​You can also help minimize noise by putting the juicer on top of a thin towel as you set it on your counter top. The Omega brand is your assurance that this is definitely not your ordinary juicer, but if that’s not enough, you also get a 15-year warranty to back you up. 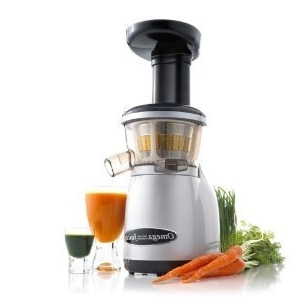 ​This juicer in particular is built to be last and,and each of the parts are of topnotch, durable quality. This is definitely a juicer that won’t let you down. For a multiple use appliance, the Omega Juicer 8006 is easy enough to understand and use, even to the point of cleaning. ​The attachments that allow for diversification are also quite easy to assemble and remove, so you won’t have trouble with it at all. You will be hard pressed to find the Omega J8006 for under $300, however should you choose to make the investment, you can be comforted with the 15-year warranty that comes with the juicer itself. So in the rare case that you have problems with the manufacturing then you can always reach out for technical support. The Tribest Greenstar Elite GSE-5000 – The Omega J8006 a lot cheaper than the Tribest. Function-wise, they are as flexible as each other, and it’s not just about juicing for both brands. While the Omega comes in a sleek Chrome color, the Tribest juicer comes in a more fashionable white. This one’s also a lot heavier at 27.8 pounds (compared to 17.6 pounds of the Omega). Read the full review here. The Omega VRT350HD – The Vert350 is a little more expensive (and a little heavier) than the J8006, but they’re just as effective. The Vert350 though comes with an auto-cleaning system, so that’s certainly a great convenience that you can look at. Read the full review here. The Breville 800JEXL Juice Fountain Elite – In terms of price, the Omega and the Breville are just at the same price range. Compared to the Omega though that processes at low speeds, the Breville Juice Fountain can go as high as 13,000 RPM. You also get more flexibility with the Omega, because you’re not only limited to juicing. Read the full review here. Should I Buy the Omega Juicer 8006? The decision of whether or not you should buy this juicer depends on how serious you are about juicing and how much you’re willing to pay for it. Omega J8006 has some serious benefits and offers a lot of flexibility with its multiple functions, but it certainly does not come cheap. If yours is a busy kitchen and you’re willing to pay that much for the multiple functionalities that you will be getting with Omega J8006, then it might be worth your while. However, if you think you won’t use this juicer as much, then you should probably think twice.